Here is an off-the-cuff, slightly rambling video showing the gear and how we carry most of it. There is also a quick tour of our hotel room in Chumphon, Thailand. Love this thing. Soooooo glad we brought it. Super handy. I didn’t mention it in the video, but we are using Apple Photos to organize the photos that we shoot. I don’t like it and find it to be very limiting. Not being able to batch edit metadata is a real bummer, so we aren’t doing much organizing. I also made the decision that I didn’t want to spend time “post-processing” images, so I am shooting JPEGs, not RAW files. I’m not cropping, retouching or editing photos. Shoot and post. That’s it. One nice thing about the Fuji X100T is that it produces very good JPEGS and has “film emulation” modes which are kind of like the filters or special effects that you might find on Instagram, but more subtle. I don’t mess with them much. I’m not after perfect images, just decent shots with minimal fuss! I also forgot to mention two other cameras we brought with us. The first is the Sony DSC-TX10. It was a gift from Grandad years ago. It is small and waterproof. A great little camera. It is an older model and I think it has been discontinued and replaced with the DSC TX-30. This is Jette’s camera and our underwater camera. 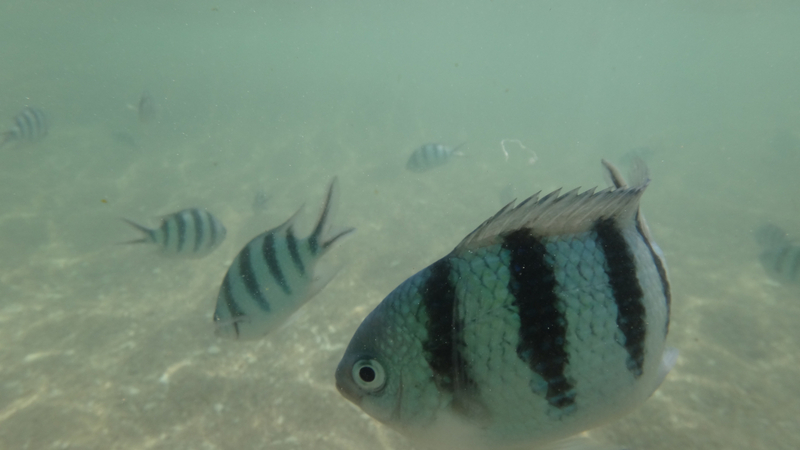 We shot some fun underwater videos while we were snorkeling in Koh Tao. 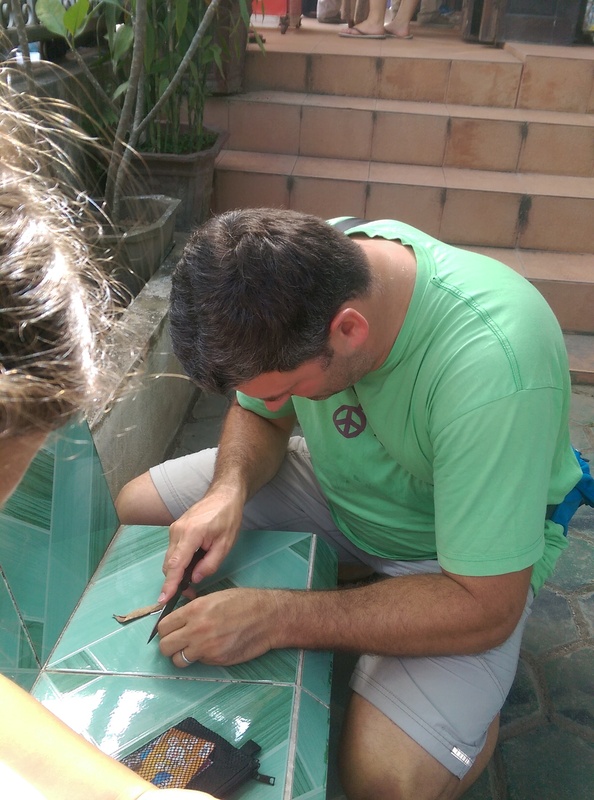 We don’t have the bandwidth to post them now, but I’m hoping to when we are back in Bangkok in the next couple days. In the meantime, here are a couple of snapshots. The other camera I neglected to mention in the video is a Contour Action Camera (kind of like a GoPro). It is OK, but I would recommend GoPro if you are in the market for an action camera. We used it to shoot some bike videos when we were cycling the Rhine but it has been living in our luggage lately. As we prepared for the trip I had visions of shooting quite a bit of video and doing more polished YouTube posts. Didn’t happen. I found very quickly that I just didn’t want to spend the time and energy on editing. It just takes too much time, and I want to spend the time on this trip experiencing it, not sitting in front of my computer editing video! So, our YouTube videos are going to be rough and unedited. Sorry viewers, but hey, we’re on this trip to explore, learn and have fun. We want to spend our time doing that, not video post-production! Finding a connection fast enough to upload video is a challenge too. The video in this post took 20 hours to upload. It would have taken even longer had we not made it to Bangkok where we have speedy internet at the local mall thanks to the speedy WiFi hotspot from dtac, one of the local wireless carriers. Regarding phones and internet, my phone is an older Google Nexus, so it came straight from Google unlocked. I can use it with any carrier. In each country we visit I typically buy a prepaid SIM card which gives me a local phone number, credit for calls and data for internet access. (Here’s an example from Singapore – they give you a lot of data! In most countries data is more limited and expensive. For example, Thailand.). It is really nice to have “always on” internet access, and I can use my phone as a hotspot in a pinch. Plans are usually inexpensive, and are perfect for using Google Maps, checking local reviews and such, but typically don’t offer enough data to do things like upload videos. It is also more secure than public WiFi. You “punch out” the SIM card and put it in your phone. 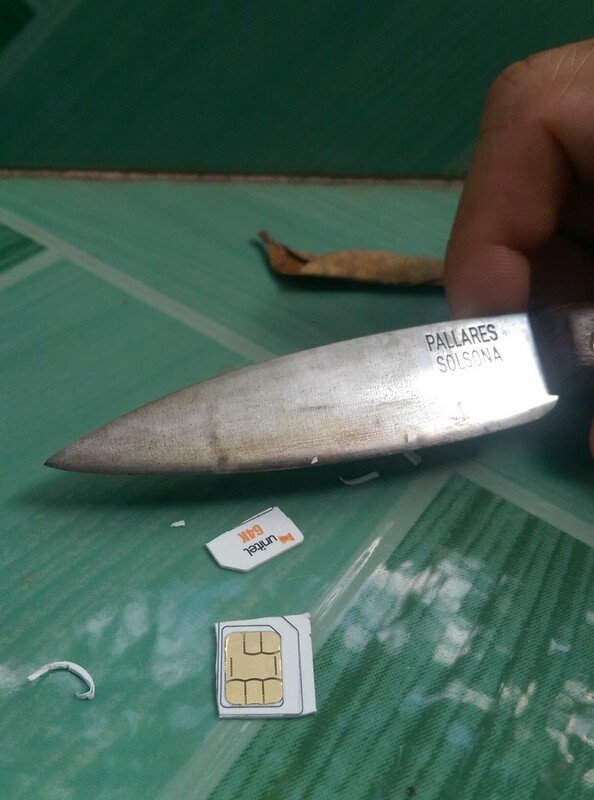 The SIM card in Laos was hilarious. Usually the SIM card come as a punch-out from a credit card sized plastic card. 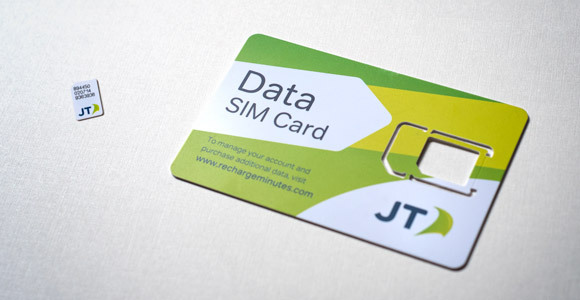 Different phones take different sized SIM cards, so there are usually three sets of perforations. In Laos there were lines printed on the card but NO PERFORATIONS!!!! I had to use my knife to cut the SIM out of the “credit card”!!! The SIM doctor doing surgery. I’m a bit security conscious, so the MacBooks are “empty” in the sense that they don’t have our personal data and files on them, other than a few things we thought me might need on this trip. As I mentioned in the video, our hard drives and storage devices are encrypted. If we lose a device, I don’t want to have to worry about bad guys having easy access to what data is on them, or even our photos from the trip. I won’t go into details here, but if you are curious about encryption you might Google “encryption on a mac” or “computer security while travelling“. We also use a VPN when we connect to the internet. It is great for security, and also for accessing services that are limited to certain countries. For example, we could have NetFlix or Amazon think we are in the US when we are actually in Thailand and play content that they will only stream to the US. There are some other things that we do for security, but I’m not telling you what they are in a public blog post ;-). The bottom line is that if we login to PayPal or check our bank balance, we don’t want some goon getting access to our accounts! I hope I’ve answered your questions! Feel free to ask more in the comments. Jette, how was the snorkeling? What was the best? We have enjoyed seeing parts of your adventure – it boggles my mind! The next question is – what food have you liked the best? Noodles or purple pancakes or an ice cream? Love to all – keep those posts coming. It makes our day to hear from you. Some of my favorite foods here are: green curry with roti, taro coconut pancakes, thai iced tea, sticky rice with mango, pad krapow moo, lao noodle soup, grilled and fried fish, and fresh fruit. 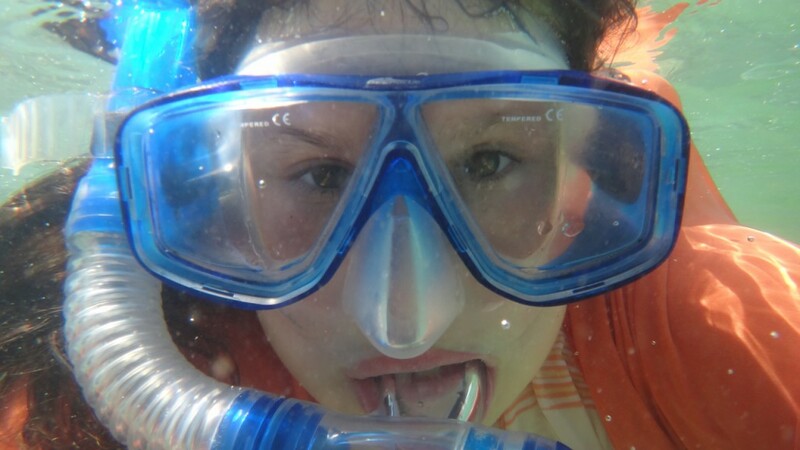 The snorkeling was AWESOME. There was beautiful coral, lots of tropical fish, and the water was crystal clear. Also, the trapeze class was really fun! Hope you all had a nice Thanksgiving.